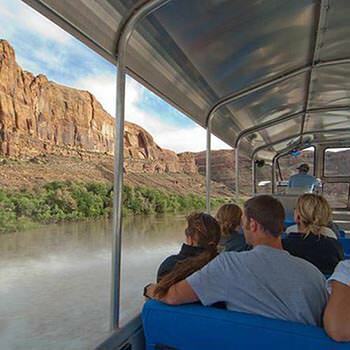 The jetboat tours are one of the many great things to do in Moab! Our guide, Rory, was very personable and humorous which made the boat tour very enjoyable. It gives a totally different perspective being on the water looking up at the canyon walls. The 4 hour Half Day Jetboat Tour is perfect! We went on the Jetboat- Half-Day Tour down the Colorado River. The guide was hilarious but also very knowledgeable. The boat was comfortable and the scenery was spectacular. My wife and I loved it from start to finish. We were raving afterwards about how it was worth every penny.